Grace Curran obtained her New Jersey Broker’s license in 1988. 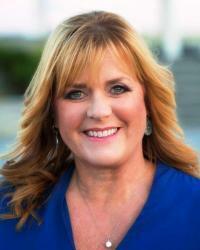 She has been focusing on listing and selling real estate in the South Jersey area for over 22 years. She loves the Jersey Coast, the beauty and pleasure that it offers. Along with her husband, Larry, she has raised their three children, Larry, Patrick and Maryellen and believes it is a wonderful family environment. Her enthusiasm and passion for South Jersey is one of the major motivations for her strong commitment to all her clients in assisting them to experience this wonderful State. Work with Grace and she will provide the highest level of service and professionalism for all your real estate goals.